Do You Have a Stiff Neck? Most stiff necks occur from incorrect sleeping habits, however, staying in any position too long with a forward head posture can also lead to neck stiffness and pain. You must avoid “rolling” your neck, because it is not a natural motion. Rolling the neck cannot help alleviate neck stiffness or strain, and may even cause further discomfort. The key is to work on stretching your neck in movements and motions that occur on a regular basis. Watch the video above for examples on how to relieve a stiff neck fast! The sooner you can make corrective changes to the muscle, the quicker the recovery. Dr. Ranvir Sahota received his doctor of chiropractic degree from Palmer College of Chiropractic West in San Jose, CA. Prior to starting Synapse Chiropractic he practiced at Southcenter Chiropractic, one of the longest running chiropractic clinics in Washington State. Dr. Sahota has extensive post-graduate training in corrective care, pediatrics, and pregnant women. His knowledge and experience with pregnant women and children allow him to provide the highest quality care. He has had extensive training and is a member of the International Chiropractic Pediatric Association. He is also certified in Websters Technique, the International College of Applied Kinesiology and utilizes Torque Release Technique. Dr. Sahota is passionate about educating and supporting families in his community through specific chiropractic care so that babies, children, and adults may live a life of greater health. His use of “doctor” or “Dr.” in relation to himself solely refers to that degree. 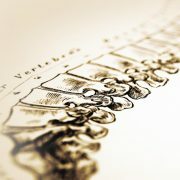 Dr. Sahota is a licensed chiropractor in Rocklin, California. This video is for general informational purposes only. It should not be used to self-diagnose and it is not a substitute for a medical exam, cure, treatment, diagnosis, and prescription or recommendation. It does not create a doctor-patient relationship between Dr. Sahota and you. You should not make any change in your health regimen or diet before first consulting a physician and obtaining a medical exam, diagnosis, and recommendation. Always seek the advice of a physician or other qualified health provider with any questions you may have regarding a medical condition. Dr. Ranvir Sahota, D.C., and Synpase Chiropractic are not liable or responsible for any advice, course of treatment, diagnosis or any other information, services or product you obtain through this video or site. Hope all is well Tina!